Rabbainu revealed in Likutay Moharan (Collection of the Teachings of Rabbi Nachman of Breslov) that when a tzadik dies fires erupt all around the world. Following the recent passing of Aron Patz OBM we have suffered serious losses due to fires. 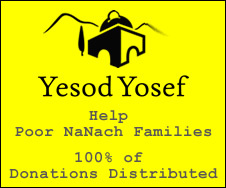 Aside from the terrible fires that have been all over the media, one of the Nanach told me about two fires that occurred, one with his sister, and another with his nephew, in each case it was slightly miraculous that there wasn't major damage or human loss H"Y. Maybe you know of other cases, feel free to add them in the comments. This is a result of losing a precious Nanach.